We passionately believe that the global construction industry must radically change in order to improve the speed, efficiency and price of building projects. Our mission is to optimize every aspect of the construction process, adding in the latest technology and innovation to make this a reality for our clients. Our conviction that there is an urgent need to change the way we approach construction and our passion to revolutionise the concept and process of construction is driving us to build better, smarter and faster. We are motivated to regenerate city centres with this innovative method and demonstrate our belief in the concept by creating exceptional projects which exceed our clients’ expectations. This is not an evolution, it is a construction revolution and you can reap the benefits of building better, smarter, quicker and for less by choosing Rooftop City for your next project. Our team is made up of engineering, marketing and economics experts with years of construction and real estate experience and the desire to innovate. We build off-site in factory conditions to improve quality, consistency and accuracy and radically decrease construction times. Our experience and know how in the fields of urban planning, project development, industrial and residential construction and investments give us the background, skills and ability to take on a range of ambitious and cutting edge projects. We have our head office in Antwerp and partners in Brussels (BRUXUP), Berlin (WUB – Wohnen Ueber Berlin) and Madrid/Barcelona (Quintestate). Rooftop City is a new company backed by a huge amount of experience and supported by two partner companies who guarantee quality, reliability and excellence. We started this project in collaboration with this experienced firm of architects based in Barcelona. 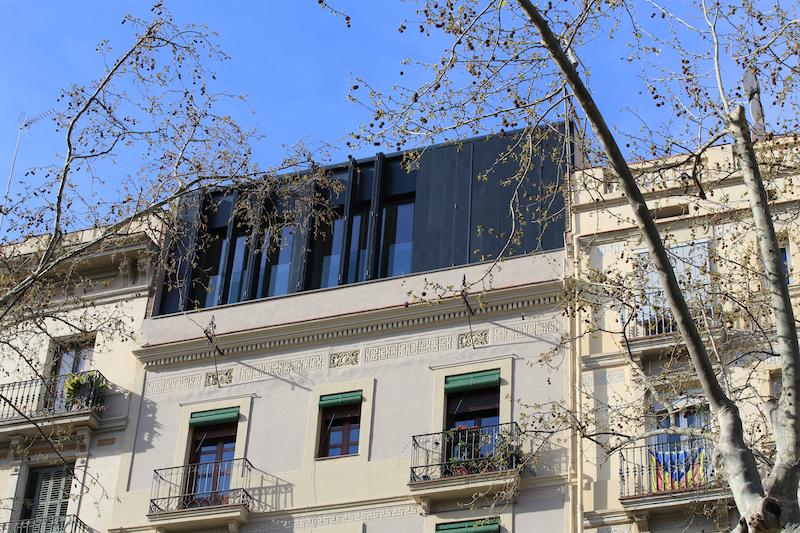 They specialise in developing new rooftop spaces in the centre of historic cities such as Barcelona, Madrid and Paris. Their extensive experience in industrial construction and passion for regenerating and extending historical city centre buildings makes them a perfect partner. General contractor Cordeel brings over 80 years’ of experience in all areas of construction, plus cutting edge technology and off-site construction methods and infrastructure. As one of our partners and co-founders, we can undertake projects in Benelux and most European countries.